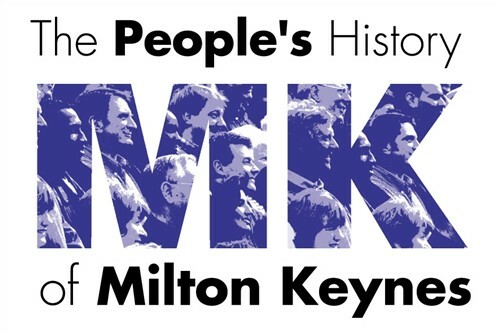 The People’s History of Milton Keynes (PMK) was a three year project by the Living Archive aimed at collecting 300 plus recordings of Milton Keynes citizens by the end of January 2003. The collection comprised oral history audio recordings, still images and documents, relevant to the development of the new town of Milton Keynes, the last major new town development in Britain in the twentieth century. Since 1967 MK has attracted both national and international attention. Much has been written, often from an outsider’s viewpoint, however, the stories of those who settled here or those whose rural way of life was disturbed by the arrival of the new town and those who planned and built Milton Keynes had not hitherto been recorded. The records within this collection have been catalogued according to the grouping of the interviewees within the original project. The collection is a unique record of the social history of Milton Keynes, highlighting some key social changes and continuities in British society since 1970. Notably the decline in manufacturing, the rise of service industries and the role of organisations bringing together people isolated from their traditional family networks, in conditions of accelerated growth. The project was devised to help to redress and reinterpret the media’s ‘popular’ image of Milton Keynes as a soulless concrete jungle only famous for its concrete cows! 300 oral history audio cassettes. Oral history audio recordings of original residents born within existing towns and villages later designated as Milton Keynes (1904-1960). Oral history audio recordings of original residents who moved into existing towns and villages, later designated as Milton Keynes (1930 and 1949). Oral history audio recordings of original residents who moved in the 1950s into existing towns and villages that were later designated as Milton Keynes. Oral history audio recordings of original residents who moved, between 1960 and 1966, to existing towns and villages later designated as Milton Keynes. Oral history audio recordings of 'pioneer settlers' who moved to the area designated as Milton Keynes from 1967 onwards. Oral history audio recordings of residents who moved to Milton Keynes (1968-1978) and later became employees of Milton Keynes Development Corporation. Oral history audio recordings of residents who moved into Milton Keynes to work for Milton Keynes Development Corporation. Oral history audio recordings of Milton Keynes residents of Hong Kong Chinese descent (1970-2000). Oral history audio recordings of original residents of Asian descent who moved to Milton Keynes. Oral history audio recordings of residents of Somalian descent who moved to Milton Keynes. Oral history audio recordings of residents of Italian descent who moved to Milton Keynes. Oral history audio recordings of residents of Jewish descent who moved to Milton Keynes. Oral history audio recordings of residents of Ghanaian descent who moved to Milton Keynes from the mid-1970s onwards. Oral history audio recordings of recent settlers in Milton Keynes from the mid-1970s onwards. Oral history audio recordings of Milton Keynes residents which are currently not available for public access. Group: Oral history audio recordings of original residents born within existing towns and villages later designated as Milton Keynes (1904-1960). Group: Oral history audio recordings of original residents who moved in the 1950s into existing towns and villages that were later designated as Milton Keynes. Group: Oral history audio recordings of original residents who moved, between 1960 and 1966, to existing towns and villages later designated as Milton Keynes. Group: Oral history audio recordings of 'pioneer settlers' who moved to the area designated as Milton Keynes from 1967 onwards. Group: Oral history audio recordings of residents who moved to Milton Keynes (1968-1978) and later became employees of Milton Keynes Development Corporation. 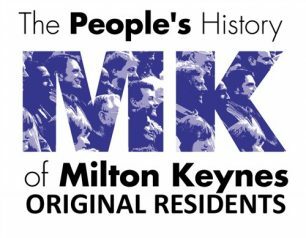 Group: Oral history audio recordings of residents who moved into Milton Keynes to work for Milton Keynes Development Corporation. Group: Oral history audio recordings of Milton Keynes residents of Hong Kong Chinese descent (1970-2000). Group: Oral history audio recordings of original residents of Asian descent who moved to Milton Keynes. Group: Oral history audio recordings of residents of Somalian descent who moved to Milton Keynes. Group: Oral history audio recordings of residents of Italian descent who moved to Milton Keynes. Group: Oral history audio recordings of residents of Jewish descent who moved to Milton Keynes. Group: Oral history audio recordings of residents of Ghanaian descent who moved to Milton Keynes from the mid-1970s onwards. Group: Oral history audio recordings of recent settlers in Milton Keynes from the mid-1970s onwards. Group: Oral history audio recordings of Milton Keynes residents which are currently not available for public access.